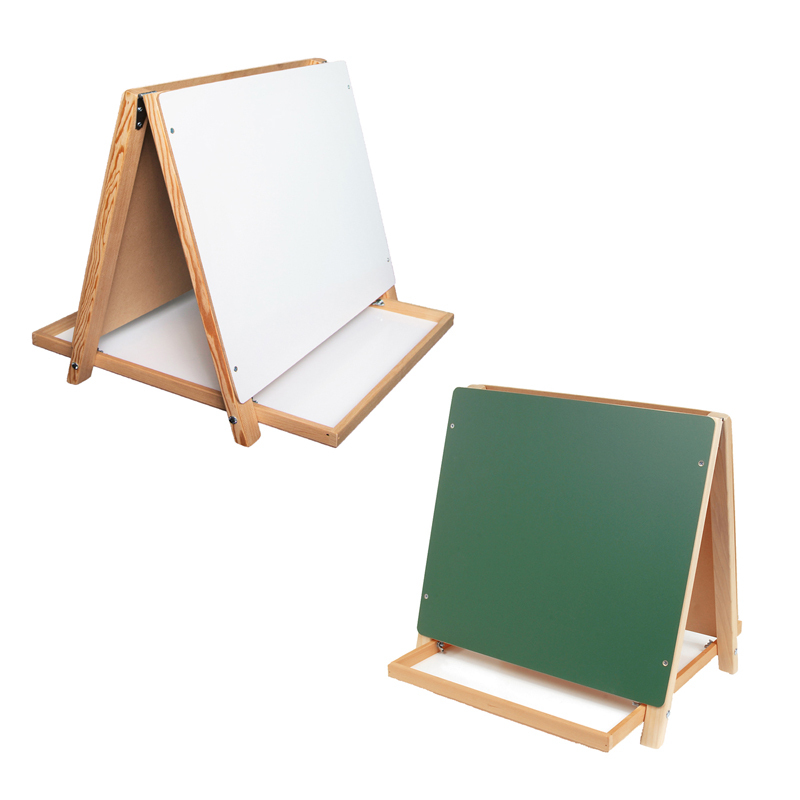 Designed for table top use, this easel features a white dry-erase surface on one side and a green chalkboard on the reverse. Large center tray provides useful storage space. 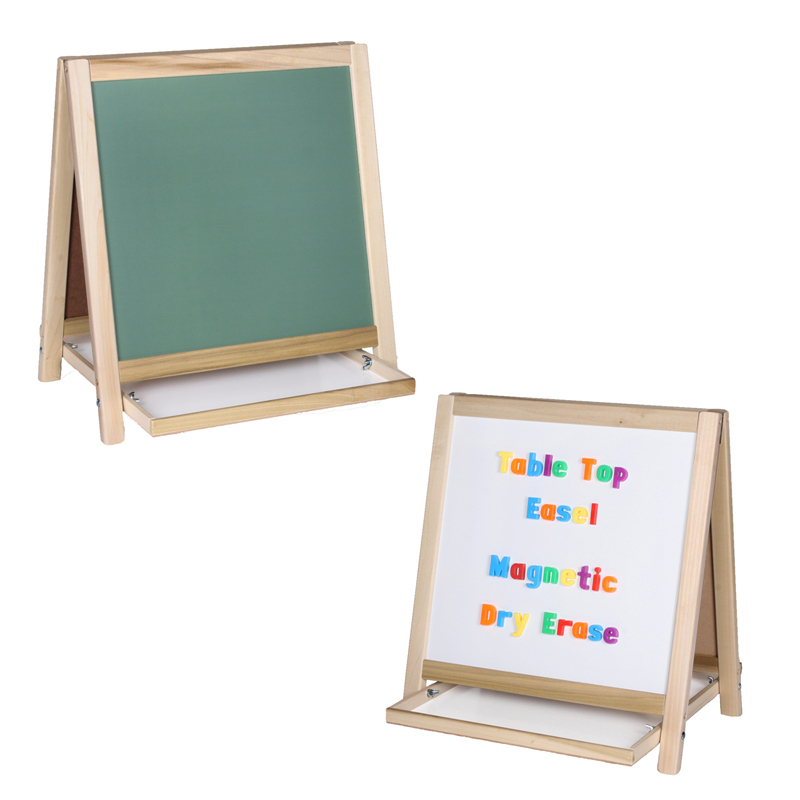 Table Top Easel is great for the classroom, daycare center, and home! Perfect for use by children because of the small size. Kids can practice their writing and drawing with these Table Top Easels. Measures 18.5" H x 18" W.
The Table Top Easel can be found in our Easels product category within the Arts & Crafts.